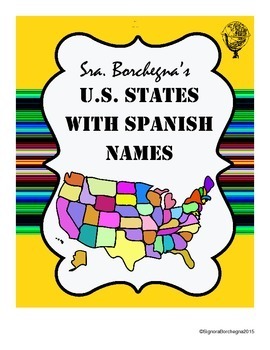 A worksheet that highlights US States and Territories with Spanish Names. Exercise requires coloring implements to find these states on a map of the US. 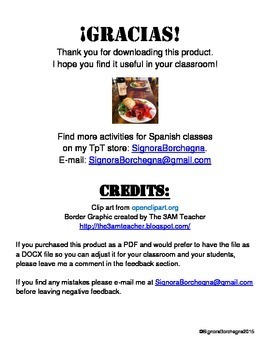 Could be used as a geography lesson for elementary or middle school, and a quick warmup for high school students of Spanish. -1 page of worksheet (could be duplicated and cut in half to make a half sheet). Expansion questions for fast finishers. Page count does not include title page or credits page.